As we celebrate the 20 year anniversary of Playa’s “Cheers 2 U” album, it’s important that we also pay tribute to one of the members Static Major who passed away 10 years ago. 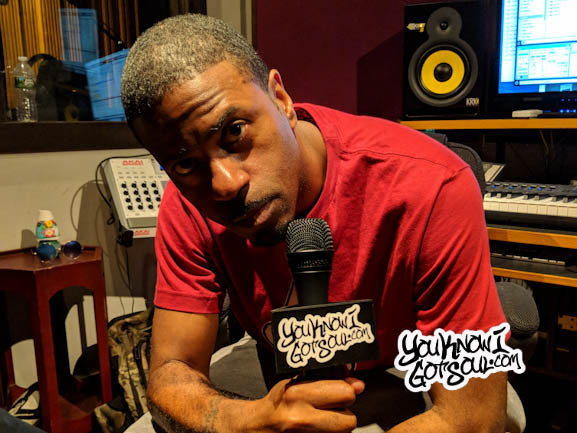 YouKnowIGotSoul had a chance to speak with Lil Eazy-E (son of legendary rapper Eazy-E) about his time with Static in the studio. 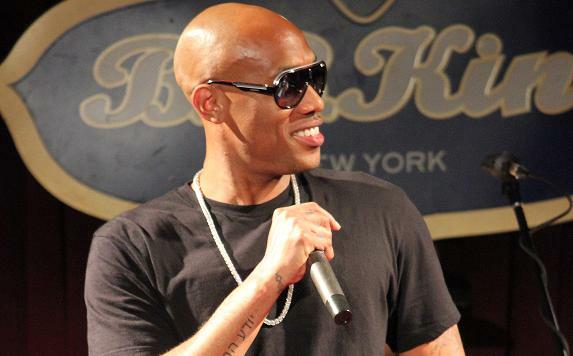 The two were signed to Barry Hankerson’s Blackground Records together back in the mid 2000’s. 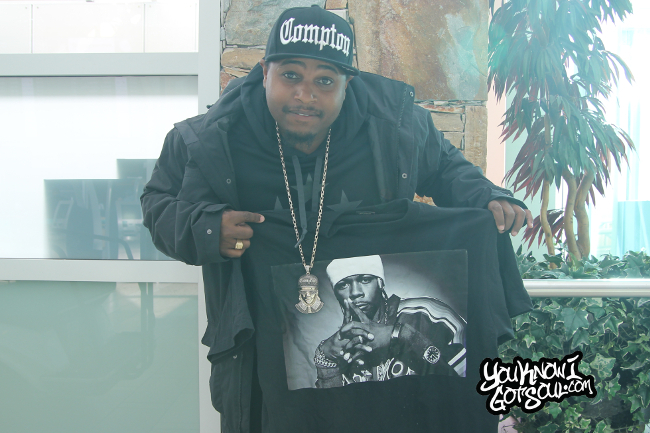 We also touch on some of the music that Lil Eazy-E has coming up including an EP. 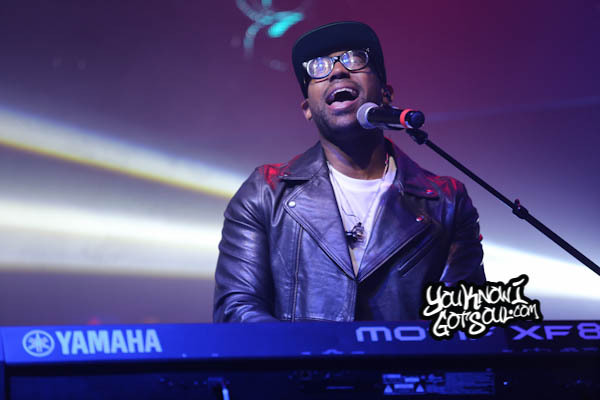 YouKnowIGotSoul: Talk about what you’ve been working on. 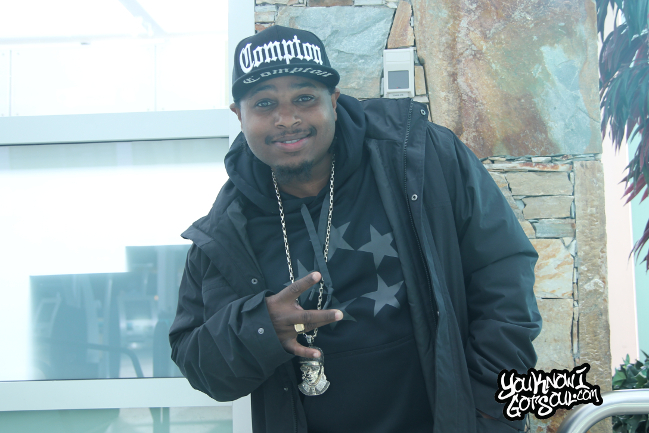 Lil Eazy-E: I’m putting this EP together that I’m finally trying to do called “Yellow Brick Road to Compton” which I started a long time ago. I went through different labels, so I finally got the will and drive to give one now. I’m touring across this world, so I want to give this to the fans. We have the EP as well as the “Compton Money Gang” mixtape. YouKnowIGotSoul: How’s the tour been going with DJ Yella? Lil Eazy-E: It’s beautiful. It’s great. It’s been great venues and sold out crowds. We even do a VIP package that’s been selling out. It’s been blessings. YouKnowIGotSoul: Of course this year is the 10 year of Static Major’s passing. You were one of the last people to work with him. How did you end up working with Static? Lil Eazy-E: I was signed to Blackground. Me and Static were same mates on the label with Barry Hankerson. It just started with me, Static and Chink Santana. We grew from there and worked. We started working with DJ Toomp at the time of his passing, so me and Static go back. I was one of the last ones that worked with him. I was probably one of the last ones besides the people at the hospital to see him alive. YouKnowIGotSoul: Static was a singer and you’re a rapper. How did that chemistry work in the studio? YouKnowIGotSoul: Were you aware of his work beforehand? Lil Eazy-E: Very much! I was very much a fan to tell you the truth. Once you look at his resume and catalog, you kind of say “wow!”. He was responsible for “Rock The Boat” and I actually seen a rough draft of him doing that song and how he kind of mumbled it like he was Aaliyah and doing it for her. Static was special. 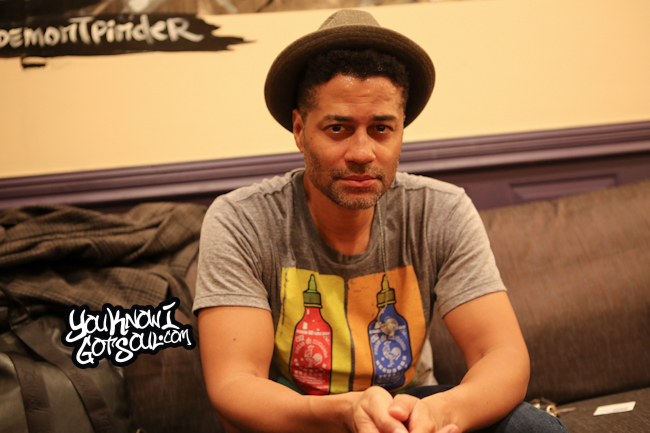 YouKnowIGotSoul: What did you learn in the studio from being with Static? Lil Eazy-E: A lot. I learned a lot of creativity with my penmanship and ideas. I learned a lot of the engineer work and executive producing. I learned a lot with him. 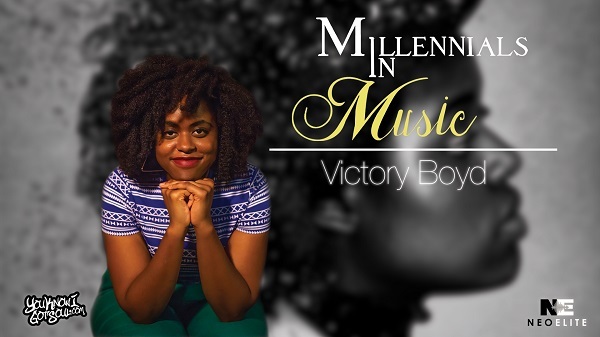 He broadened my horizon with tightening your craft with just being a real producer and songwriter. He taught me a lot of things and different things you can put together. He gave me the tools of being a great songwriter. YouKnowIGotSoul: What did you take away from the person Stephen Garrett? Lil Eazy-E: He was a family man. He loved his kids and wife. I knew them a lot when we worked together. We bonded outside of music. We were playing games and we were always trying to be competitive with each other. I guess that related to his drive in music. He wanted to just be great and beyond that. That just came off knowing him just sitting in the studio and saying “Let’s turn the music off for a minute. Let’s just bond as individuals”. That was a great thing because that was something he wanted to do. It was a little standoff-ish when we first met. Being two artists as individuals saying “We’re going to take away from your lifestyle, drive and timetable to focus on Lil Eazy-E”. To see a man have the dignity to do that tells a lot about him. I respected him for that because it was like we were thrown in the fire with each other. It was like “Hey, get off the road and come work with this kid. Any record that you may have for yourself, let’s tailor it and remix it for him”. He was open arms to doing that. It was rocky at first, but it was open arms when we took those conversations outside the studio and bonded. I respected him as a man. He took the time to know me. Not just Lil Eazy-E but Eric Wright and I got to know Stephen. 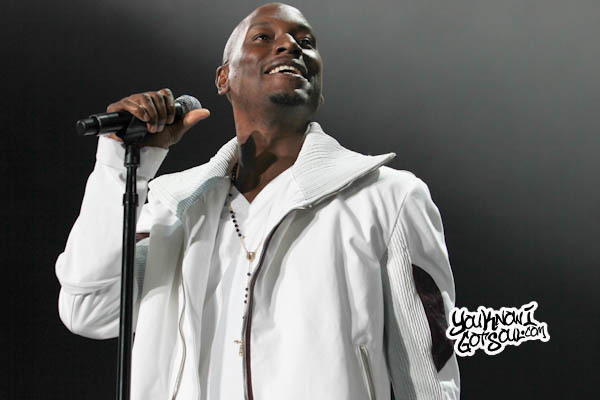 YouKnowIGotSoul: Some of us have heard the song “Fire” that you did with him. Talk about your work with him. Lil Eazy-E: “Fire” was it and also one of my songs called “What We’re Claiming” which was produced by DJ Toomp. Static was a writer on that. We worked on “Fire” and man, a lot of unreleased tracks that you guys wouldn’t know., but on the EP hopefully I can recycle some of them out of love. I’m going to do “Fire” out of the love and memory of Static. I’m going to put that one as a bonus track. YouKnowIGotSoul: What do you want people to remember about Static? Lil Eazy-E: He was one of the greatest songwriters to do it. A lot of individuals don’t know that a lot of his hit records you grew up off of and a lot of your favorite artists like even Jay-Z, Static was the penmanship and creativity behind that. On top of that, I got to know the individual he was as a man, father and husband. He was a great man and I always heard about his family. He was always busy away with his family, so he took the time out to sit there and show me as a man how important family is being that he’s away on the road a lot. I took a lot from him. Me and his wife somewhat knew each other through formal conversations and everything like that. I want her to know that he very much did care about his family and loved you guys a lot. I knew about you guys without even knowing you guys. Static was beautiful and one of the greatest songwriters. Lil Eazy-E: “Yellow Brick Road to Compton” will be out soon. We’re going to give a tribute to Static. We’re going to do both versions of “Fire” and keep this thing going. I have to keep his legacy going. For him, his family and my father and my family.